But here’s the thing, no matter how thorough our process, and no matter how deep we go with our background investigation, we don’t really get to know the candidate until he’s been with us for a few years. There have been a few backgrounds that sounded promising but after living with the person for a time it became apparent we chose the wrong man. Conversely there have been a few background investigations that left us on the fence, but after living with the person for a few years we found him or her to be spectacular. I have found that it’s the same with Jesus Christ. What I mean by that is this. I’m not a blind faith person. 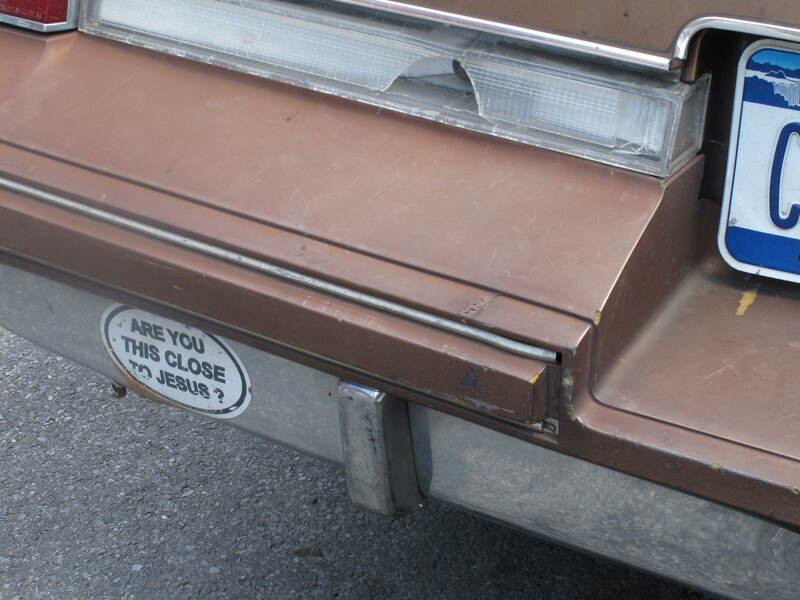 It’s important to me to research the question of whether or not Jesus is real. But as important as that is, just the same as a new firefighter, I can’t really know him until I live with him for a couple of years. I think today there are many who were raised in a church going family and were exposed to Christianity through the filter of their parents. I’m not even addressing whether their parents did a good job of sharing their faith or not. What I am saying is that they learned information about Jesus from their mom and dad, and from their youth pastor, and from their senior pastor. Maybe also from teachers at a Christian school if their parents went that route. As adults they may have even researched the Christian faith in books or on Reddit or through their college professors, and that’s good. But they’ve never engaged Jesus Christ personally, as an adult. They did their background investigation but they don’t really know him. They’ve never lived with him for a few years. I’m doing research right now for a book I’m writing and I’m reading about the lives of some of the giants of the faith: St. Augustine, E.M. Bounds, Oswald Chambers, F.B. Meyer, Dwight L. Moody, G. Campbell Morgan, Andrew Murray, Ruth Paxson, Hannah Whitall Smith, and Charles Spurgeon, to name a few. And I’m struck by the determination and perseverance of these people, to seek intimacy with Jesus Christ. This is a common denominator among all of these giants of the faith. In my own life I have found the stronger my desire to seek Jesus, the more real he becomes. The stronger my desire for intimacy with Christ the stronger my faith becomes, and the weaker my doubts become. Typically we’re filled with desire to draw close to Christ after a crisis of some kind: a divorce, or we’re devastated physically, or we’re financially crushed. It happens when we’re desperate. It happens when we’re hurt. It happens when we’re humbled. But it doesn’t have to be that way. You can do this. Like Augustine, Smith, or Spurgeon you can make it your mission to draw close to Jesus Christ. And why wouldn’t you? We put all that time, energy, and money into hiring a firefighter because we’ll be stuck with him, for better or for worse, for thirty years. The question of Christ has consequences that don’t last thirty years but are eternal. So why wouldn’t you do whatever it takes to get to know him? Does it make sense to invest more time in your music, or your fantasy sports team, or your video game than seeking intimacy with God’s Son? You’ve done the investigation. Now see what he’s really like. Live with him for a few years. Timothy Keller Podcast, Doubt: What should I do with my doubts? This entry was posted in Bible Commentary, Bible Study, Seeker and tagged Christ, Christianity, Doubt, Faith, Is Jesus real, Jesus, Jesus myth, Jesus real, why do I doubt by Kurt Bennett. Bookmark the permalink. I learned of something very interesting last summer about the Hebrew language which the Old Testament is based upon. The Hebrew teacher told the group that there are two English words that are never found in Hebrew–doubt and romance. Mat 5:37 But let your ‘Yes’ be ‘Yes’ and your ‘No’ be ‘No.’ Whatever is more than these is of the evil one. This truly makes total sense that He would say this, for the Hebrew language is an expression of concrete thought vs. abstract thought as in Greek. The scriptures are written in concrete, ancient Hebrew thought. In fact, the book of Matthew was originally written in Hebrew. Who would dare say that the scriptures are not inspired by the Holy Spirit? To say that we “doubt” is to say that we blur the lines between yes or no, truth or error, and life or death.